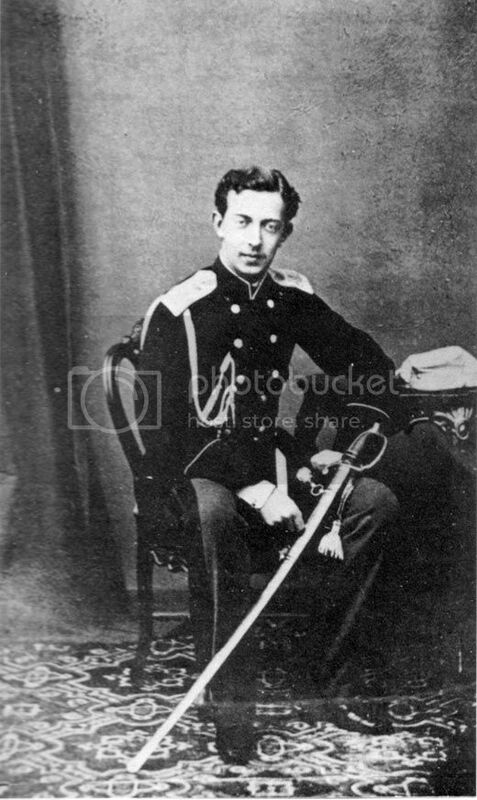 Does anyone have pictures/links to pics of Tsarevich Nicholas Alexandrovich? I cannot recall ever seeing one. Thanks in advance. You are right, and it is quite interesting. 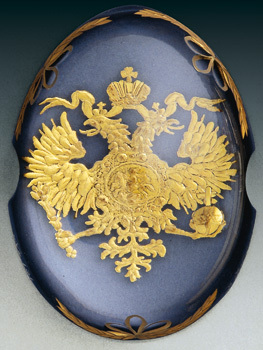 Tsarevitch Nikolai Alexandrovich, son of Alexander II and Maria Alexandrovna. born 20 September 1843 at Tsarskoe Selo, and who died on the 24 of April 1865, at Villa Bermon, Nice, seems to have left almost no visual record. I don't even know where he is buried--does anyone? I have not read the book yet, but has anyone who has read Coryne Hall's biography on the Dowager Empress provide light on this subject for us? I would think that since he was heir and tsarevich he would have been buried in St. Petersburg. He is buried at the Sts. Peter and Paul Cathedral in St. Petersburg (buried on June 9, 1865). I believe there may be a biography of him in Charlotte Zeepvat's Romanov Autumn, although I don't have the book myself. Of particular interest to me here is that the above article mentions at least three visual records that exist of Nicholas, those being a painting of his oath of allegiance from 1859, a photograph from 1861/2, and an 1866 portrait reproduction. Now if only we could find some of these to see! 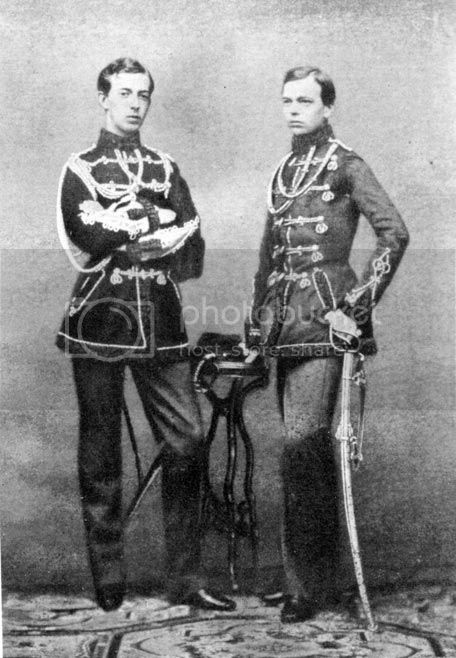 There are pics of the Tsarevich Nicholas and Minnie in the book Little Mother of Russia. I have seen pictures of him in recent books, like The Romanovs by John Van Der Kiste, and in Romanov Autumn there is a chapter on him. 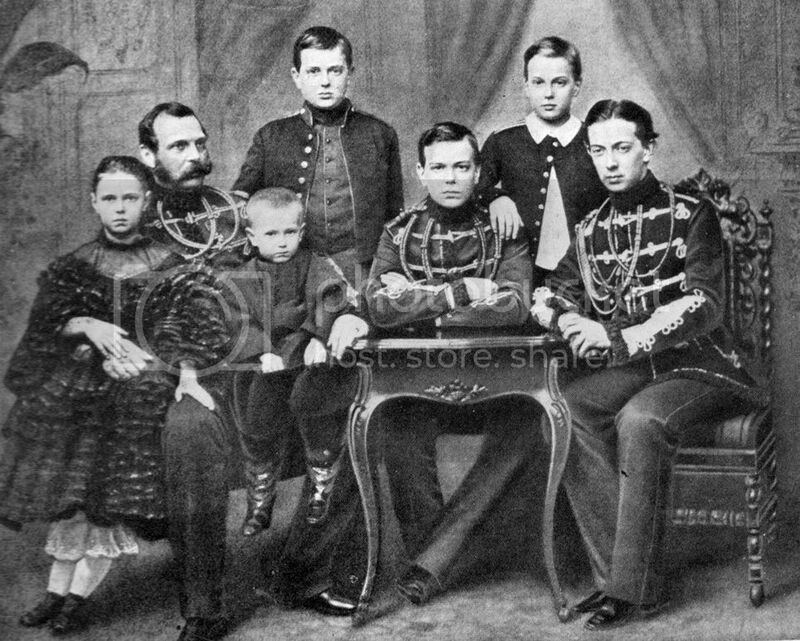 As Tsarevich he would be buried in the Fortress of Peter and Paul. Hope this helps. In Charlotte Zeepvat's book "The camera and the Tsars" are - I think - at least 5 photographs of the Tsarevitch. He resembled his mother a great deal - in my opinion. Another portrait of Tsesarevich Nicolas, 1865. Many many thanks Mike for this link to the exhibition! This is enchanting as you can see the awning folded back of the window to the semi-circular hall of the AP in photo #77! What was the reason given for his early death? I think he died of consumption while staying in Nizza in 1865. Also his mother Marie Alexandrowna and her mother Wilhelmine of Hesse nee Baden have had this disease. Thanks for the hyperlink. You are so right about the site opening so slowly, despite the high speed cable connection! Do you have any idea where this statue stood? Sorry about not getting back to you that night. Here is a family shot taken in 1861. Nicholas is on the far right. I lied, I thought I had a picture taken of Maria and Nicholas but alas, I do not. I hope these pictures will give you a good idea of what he looked like.